Oops, I never posted the finished piece! Here it is! 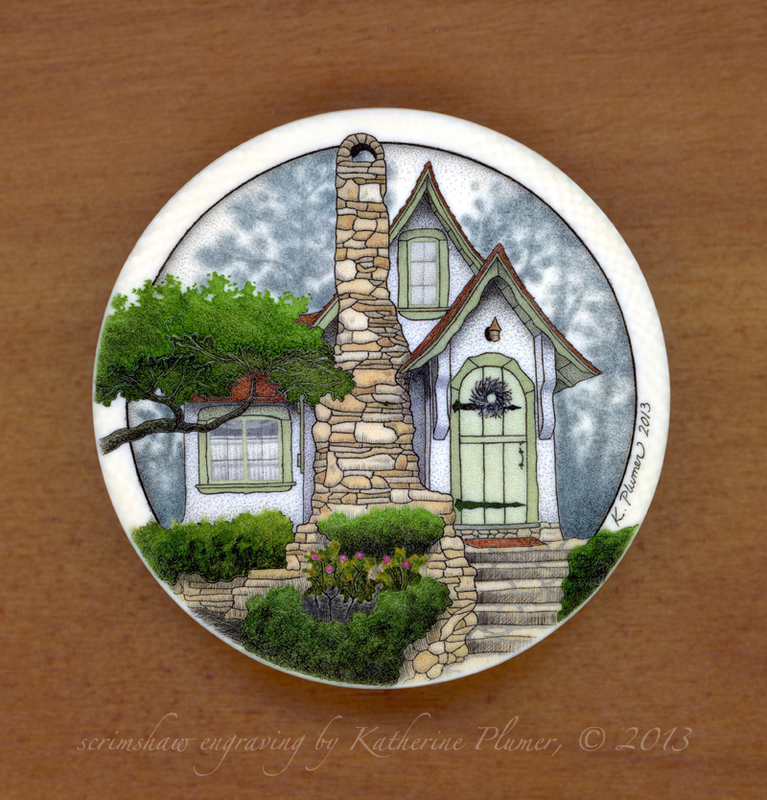 This is an illustration of the Hansel Cottage in Carmel, California. It is 2 inches in diameter. This was a custom piece. It is as beautiful as I knew it would be. I am usually not a fan of colored pieces but I have to say this one is outstanding. Thanks for showing the finished project.